Knuckles Chaotix is one of the rarest Sonic games on home consoles. It was only released on the 32X add-on for the Mega Drive/Genesis, and unlike it’s disc based cousin (Sonic CD) has never found it’s way onto official re-releases or compilations. Haven’t got a Sega 32X? You can’t play this title. That being said, the game’s roots begin in the mish-mash of ideas SEGA was trying to sift through during the mid 90s. High on the Mega Drive’s popularity SEGA had committed themselves to two next gen consoles, the 32X (With the unreleased Sega Neptune being a stand-alone version) and the Sega Saturn. In a scramble to deliver some form of next generation Sonic title, many ideas were delivered to both Sega of America and Sega of Japan. 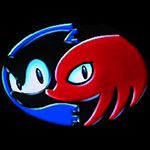 One of the concepts delivered to Sega of Japan was called “Sonic Crackers”, and saw Sonic and Tails in the usual single-screen platformer model, albeit attached together with two rings and a piece of elastic. The idea was to promote co-operative play to reach new areas, with Sonic’s speed and Tails’ ability to fly having different advantages. 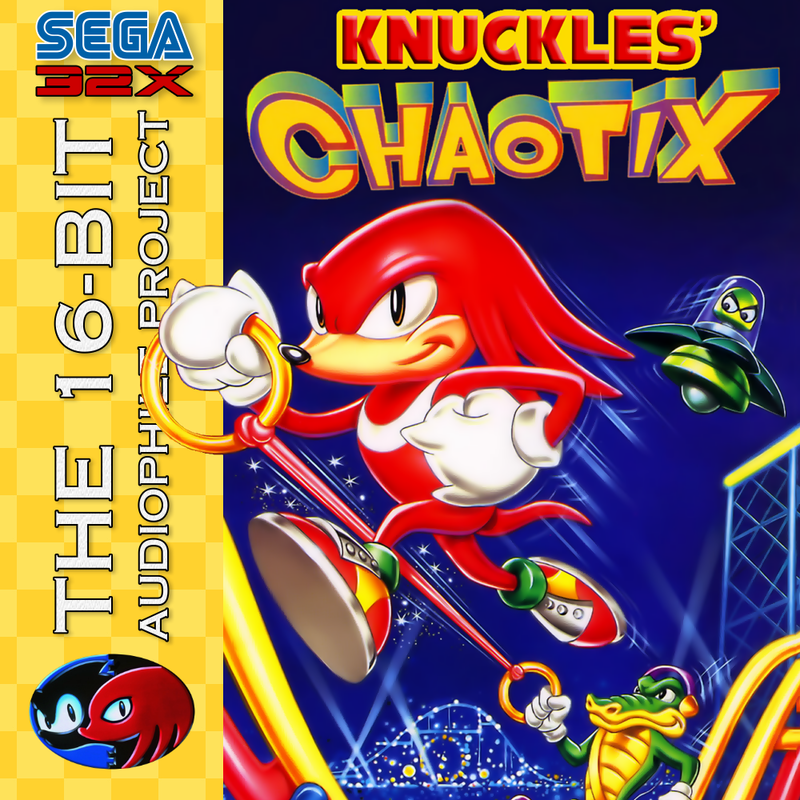 The idea was eventually developed by SoJ as Knuckles Chaotix, in a bid to give Knuckles his own starring role and not confuse the future of Sonic’s gameplay with a more complex mechanic. Chaotix’s sources and deleted features are, in some ways, more interesting than the game itself. Tails is still listed as the second playable character in the data, and via a glitch you can play as him – however his palette will cover Knuckles’ sprites and his moveset will resemble Mighty but with Tails’ ability to fly. Where the title screen says “Featuring Knuckles the Echidna” it used to say “Featuring Espio the Chameleon” in older prototypes. The characters also stem from other interesting areas of the franchise. Mighty the Armadillo starred (With Ray the Squirrel and the titular hedgehog) in SegaSonic Arcade, a rollerball arcade machine, and his sprites and movement are a direct copy/mild edit of Sonic’s sprites from Sonic Crackers. Vector the Crocodile is actually a piece of deleted art from Sonic the Hedgehog on the Mega Drive/Genesis. Yuji Naka was to have a sound test in the game, and Sonic would jam with his band as the music played. Vector was the keyboardist (explains the headphones), but the sound test was cut for time and the entire space was taken up with the famous Sega Choir instead. Sonic and Tails make an appearance in the best ending of the game, and Amy Rose appears in the Sound Test if you put in a secret code (Which also includes the development name of the 32X – Sega Mars).